Canoeing on the lower Colorado River. 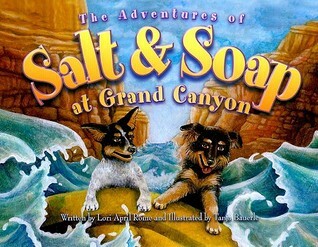 The Adventures of Salt and Soap at Grand Canyon is the true story of two puppies who wandered into the Canyon and maneuvered their way into some great escapades–multiple rim-to-river hikes, a white-water rafting trip, and even a helicopter ride—all while ultimately snuggling their ways into park rangers’ hearts. In this episode of On the Road with Mac and Molly, I chat with Lori about Salt, Soap and their buddy Morri. 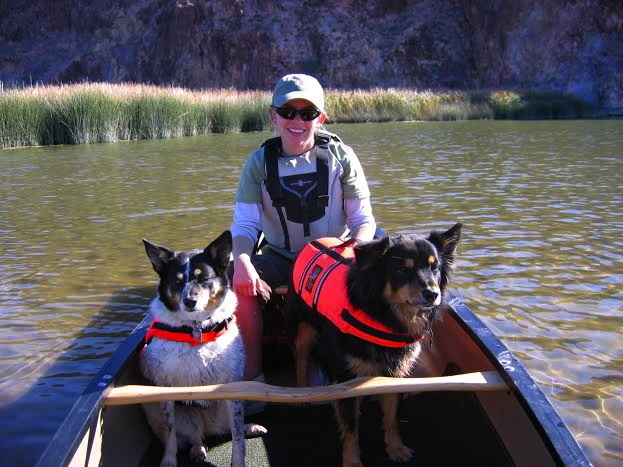 Lori gives us entrée to her life as a ranger in parks from Alaska to Florida, shares stories about pets and wildlife in the parks, and details her exciting work with mountain lions at Capitol Reef. Pet Life Radio is the largest and #1 pet radio network on the planet, featuring weekly pet-related talk shows hosted by the most well-known pet experts, authors and radio and TV personalities in the world of animals and pets. With over six million monthly listeners Pet Life Radio has hosted celebrity guests like Jennifer Aniston, Owen Wilson, Betty White, Rachael Ray, and many more. Pet Life Radio was honored with a 2012 Genesis Award (Humane Society of the United States), and is the official radio media sponsor of the 2013 and 2014 American Humane Association Hero Dog Awards. Pet Life Radio is available free on-demand from the PetLifeRadio.com website and over 30 podcast distributors. The Pet Life Radio live radio stream is broadcast 24/7 worldwide on the PetLifeRadio.com home page as well as to smart phones, mobile devices and cars through mobile apps including iHeartRadio, iTunes Radio, TuneIn Radio, Stitcher Radio, Nokia Radio and ooTunes Radio. Pet Life Radio has millions of pet loving listeners worldwide.